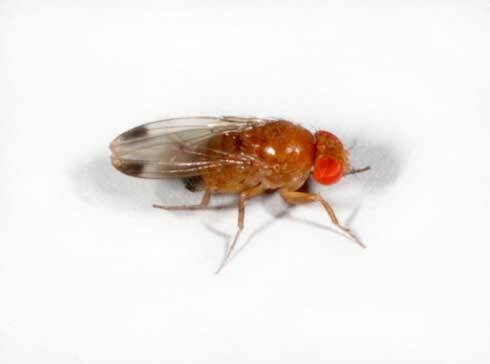 The spotted wing drosophila is a significant new pest of fresh fruit in California. In 2009 it became established in 23 counties in California, 13 counties in Oregon, and in Washington, British Colombia, and Florida. However, until recently it had not been found in the southern end of the San Joaquin Valley. This all changed in mid-February when multiple spotted wing drosophila were recovered from apple cider vinegar traps placed in citrus in Kern County. 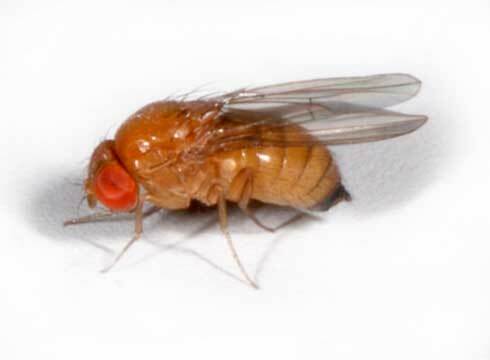 Spotted wing drosophila is not a true fruit fly like Mediterranean or olive fruit fly. Instead, it is a vinegar fly similar to the flies commonly found on overripe fruit on a kitchen counter. The difference, however, is that spotted wing drosophila has the capacity to attack unblemished fruit in the field before it is ripe. Thus far the most preferred hosts in California and the Pacific Northwest have been blackberries, raspberries, cherries, blueberries, strawberries and certain other stone fruits. In these crops, spotted wing drosophila caused tens of millions of dollars in damage during 2009 by laying eggs that turned into maggots in fruit prior to harvest. It is still too early to know how widespread spotted wing drosophila will become and how much damage it will cause. This is because this pest continues to invade into new locations, and due to a lack of experience with how it will survive in harsh environments. In particular for Kern County, hot summer weather will be inhibitory to the fly. However, nobody is certain if it will get hot enough early enough in the year to minimize the potential for damage in crops like cherries and blueberries. These crops are harvested in April through June when mild spring weather often prevails, and the excessive heat of the summer has not yet become consistent. There are many collaborative efforts underway to better understand spotted wing drosophila and its relationship with key crops in California. These efforts are being led by campus and county-based entomologists from the University of California system, researchers from the US Department of Agriculture based in Oregon, and entomologists at Oregon State University. The goal of these efforts will be to develop effective, science-based management programs for fruit growers that are effective, affordable, and safe to the environment. Farmers in the lower San Joaquin Valley that are looking for the latest information on how to manage this pest in crops like cherries and blueberries are encouraged to contact the local UC Cooperative Extension Office. Additionally, provisional management guidelines for cherries, strawberries, and caneberries can be found at the UC IPM Web site at www.ipm.ucdavis.edu by clicking on Pest Management Guidelines and then the crop of choice.